On a hot, steamy summers day, what could be more refreshing than a glass of home-style lemonade? Bursting with flavors, fresh lemonade is a perfect pick-me-up drink to help you on your way down the Boardwalk. The classic lemonade is nothing more than lemon juice (fresh, of course), water and a little sugar. 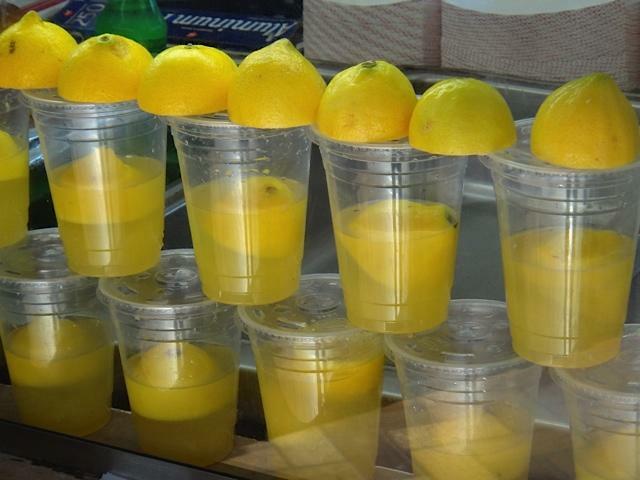 If you prefer your lemonade a little sharper, then you can always ask for them to cut down on the sugar, or even to leave it out altogether ,if that is your thing. The Boardwalk has plenty of lemonade options - very good they are too!